From Any Google Search Engine You Want! Are you looking for more traffic on your site from your targeted keywords? Do you want more sales, clicks, clients opt-ins, subscribers, buyers and earnings? Are you tired of learning and doing SEO rank and traffic building on your own? Want an easy and affordable way of getting visitors to your site from Google from any keywords you want? Then you're in the right place! Because we've just finished perfecting our Google Keyword Traffic System and are ready to roll it out to the public! With our unique organic Google Keyword Traffic System we are able to send you real live Organic Search Engine traffic to your site from any Google Search Engine! We can target any specific or general keywords from any Search Engine or Country also and have them land on YOUR site from those SERP pages! Whether you want organic keyword traffic from Google.com Google.co.uk Google.ie Google.fr Google.de Google.es Google.it Google.co.in or any Google Search Engine. We can send organic traffic from any Google Search Engine / Country. Plus with more targeting and filtering options available like the ability to choose either mobile or desktop users, even specify the browser as well. Platform Targeting Options Available- Can target Microsoft Edge, Google Chrome and Firefox Desktop browser users. - Can target Android, iPhone/iPad, BlackBerry & Samsung Mobile browsers etc. The United States of America, Canada, Brazil, Mexico, Argentina, Colombia, Chile, Venezuela, Uruguay, Peru, Ecuador, Costa Rica, Panama, Dominican Republic, Paraguay, Puerto Rico, Guatemala, El Salvador. China, Japan, South Korea , India, Taiwan, Indonesia, Vietnam, Hong Kong, Iran, Thailand, Israel, Malaysia, Singapore, Saudi Arabia, Philippines, Pakistan, United Arab Emirates, Kazakhstan, Kuwait, Georgia, Bangladesh, Syria, Oman, Qatar, South Africa, Egypt, Morocco, Kenya, Algeria, Tunisia, Nigeria, Seychelles, Mauritius, Sudan, Angola, Tanzania, Zambia Ghana, Namibia, Australia, New Zealand, Guam, New Caledonia. Imagine floods of real Search Engine users searching YOUR targeted keywords in the Search Engines and then visiting YOUR site from those keywords completely naturally! 1 of a kind unique service on SEOClerks! 10,000+ Google Keyword Searchers on your site! All visitors drip fed naturally over 7-30 days time. You'll get about 500-1000+ unique organic visits p/ day for 7-30 days. More traffic over much longer periods are available. What site are allowed / what's not? We accept all and any type of site usually except anything illegal. Your website must not use frame breakers or exit page popups. All we need is your website URL and a keyword or some keywords. You can supply up to 10 different keywords per URL. Is this traffic Google Adsense safe? Yes 100% guaranteed. We are sending you traffic to your site from Google itself (or any Search Engine). We're only sending you what Google would send you if someone was to search in Google, see and click on your site. Are any tools or bots used to generate/send the traffic? No bots used no but tools were used to build what is an intelligently built sophisticated system. It's mainly a web based system. Obviously I can't tell you how it works as it's a trade secret, but if you can prove we use a bot or proxies or anything I'll give your money back no questions asked! Where does the traffic come from what country? By default our traffic is world wide from all major countries. However, we are able to target specific countries or regions from America to Europe. Google.com traffic will be from America, Google.co.uk from UK, Google.fr from France etc etc. Just tell us which Google version you want it from when ordering. Do the Search Term Keywords show in Google Analytics? Yes and no. A long time ago, Google stopped showing search term keywords in Google Analytics for its logged in users. You can read about it online. Most of your traffic may be from logged in Google users so it will hide their keywords searched and show up as "not provided". Rest assured, we are sending the traffic that is using your keywords and the service will work the same way regardless. For low competition keywords a few weeks with 10-100k can expect positive improvements. For low to medium comp keywords 100-250k over a couple months can. For medium to high comp keywords, a couple more months and twice as much traffic. For high comp keywords up to 6 months with up to 1kk traffic. Is there a money back guarantee or refund policy? Obviously like anything you buy, your statutory rights aren't effected. But if we don't send you all the traffic you purchased, we'll give you a full refund no asked questions! Your satisfaction is the main thing above anything else! For any more questions just send me a message! If you need more just add it as many times as you need! All traffic will start within the hour usually. 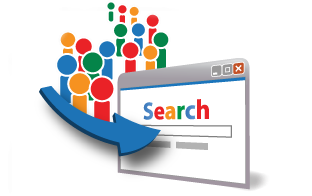 Check out our Extras for more Organic Google Keyword Search Engine visitors! NOTE: Our prices are reseller friendly! You are welcome to resell this service and we offer custom affiliate discounts for big resellers. This same traffic sells for 5x+ the same amount on the Internet. 9/12/17 - New plans and prices: We've changed our minimum amount and prices. From now on, in the standard service, we only sell minimum 10,000 visitors for $9. Extra amount prices changed also. 23/8/18 - Service's standard minimum amount is now 100,000 for $49 (a saving of $41!). DISCOUNT CODES: Use code "10percent" for 10% off! Returning clients can get further discount codes and gifts. 100,000 Organic Google Keyword Targeted Website Traffic Visitors is ranked 5 out of 5. Based on 307 user reviews.